Several weeks ago I had lunch with one of my new clients, a senior human resources executive of an Atlanta based company. Our working partnership had been very business focused since the beginning and I wanted to forge a stronger personal connection which I enjoy with most of my other clients. We made small talk about a number of subjects until our food arrived. I said I was going to say a blessing over our meal and she was welcome to join me. As I made the Sign of the Cross and started to pray, I noticed that she also made the Sign of the Cross. I smiled to myself and said a quiet prayer of thanks for the opportunity I had been given. Between bites of salad, I asked her which parish she attended. She gave me a funny look before responding with the name, then added “that’s a long story.” I told her I would love to hear about it and for the next half hour we talked about her faith journey, how much she loved her parish, her devotion to the Blessed Mother and her prayer life. The awkward business focused exchange at the beginning of the meal had been replaced by a warm conversation about our shared Catholic faith. I certainly achieved my goal of a stronger personal connection! Driving back to my office I reflected on countless other business meals over the last few years which had turned into faith discussions, perhaps because of the simple act of making the Sign of the Cross and blessing the meal. I don’t know if I see this as courageous as much as following the call of Christ and the teachings of our Church. It is certainly food for thought and worthy of careful reflection. What would happen if everyone who reads this makes a simple commitment to make the Sign of the Cross and say a blessing over every meal from now on, regardless of our companions? 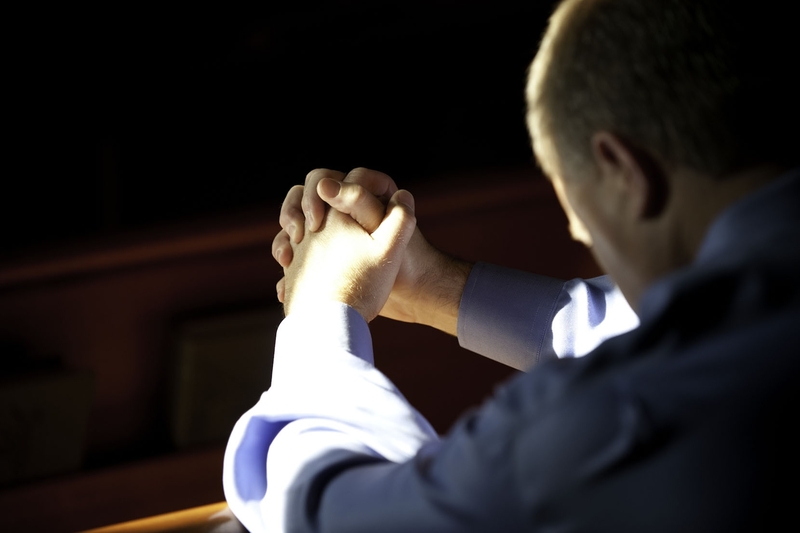 How many incredible faith discussions would occur as a result of this simple and public act of faith? I could easily argue the other side and share the possible negative outcomes, but can we live as faithful Catholics if we are paralyzed by fear? The answer, I believe, is in the words of Jesus in the Gospel of Matthew 10:32-33: Everyone who acknowledges me before others I will acknowledge before my heavenly Father. But whoever denies me before others, I will deny before my heavenly Father. 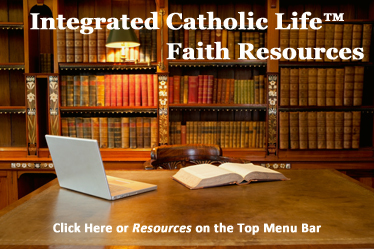 Editor’s Note: Would you like to learn more about integrating our Catholic faith with work? Randy Hain’s groundbreaking book, The Catholic Briefcase: Tools for Integrating Faith and Work (Liguori Publications) is available through Amazon and Catholic bookstores. All of Randy Hain’s books are available through Amazon. 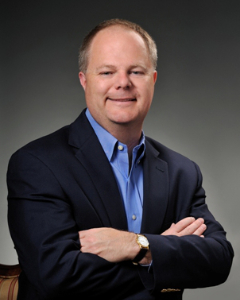 Mr. Randy Hain is President of Serviam Partners (www.serviampartners.com) and is a sought-after executive coach and leadership consultant for business leaders and companies all over the country. He actively serves on a number of non-profit boards in the Atlanta community, especially those connected to autism awareness, developing young leaders and integrating faith and work. He is the Senior Editor for the Integrated Catholic Life™, which he co-founded with Deacon Mike Bickerstaff in 2010. Randy is a prolific writer and frequent presenter on a number of topics including faith, family, Catholic men’s issues, autism advocacy, fatherhood, faith/work integration, careers, authenticity, leadership and human capital. 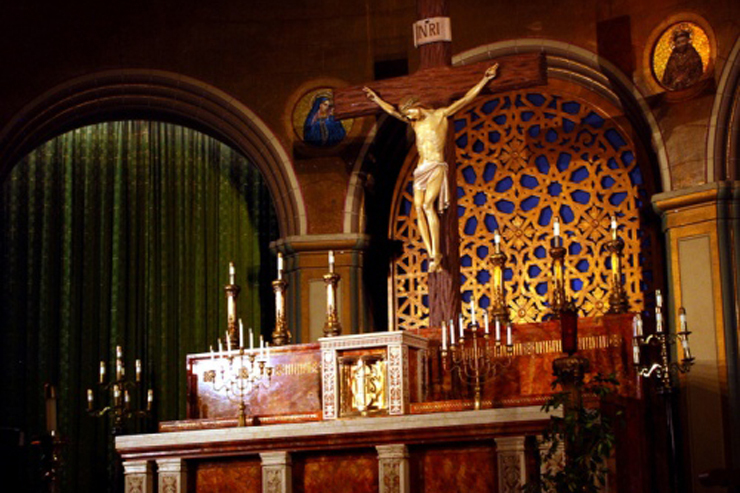 Looking for a Catholic Speaker? Check out Randy’s speaker’s page and the rest of the ICL Speaker’s Bureau. His first book, The Catholic Briefcase: Tools for Integrating Faith and Work, was released in late November, 2011 by Liguori Publications. The book provides practical advice on how to integrate the Catholic faith with our work and offers inspiration through the examples of real Catholics in the workplace. The Catholic Briefcase was voted the Best Catholic Book of 2011 in the About.com Reader’s Choice Awards. His second book, Along the Way: Lessons for an Authentic Journey of Faith was released by Liguori Publications in November, 2012. Randy’s third book, Something More: The Professional’s Pursuit of a Meaningful Life, was released by Liguori in February, 2013. His fourth book, LANDED! Proven Job Search Strategies for Today’s Professional, from Serviam Press was released in December 2013. His fifth book, Journey to Heaven: A Road Map for Catholic Men was released by Emmaus Road Publishing on May 12th, 2014. Randy’s sixth book, Joyful Witness: How to Be an Extraordinary Catholic was released by Servant Books in late November 2014. His latest work is Special Children, Blessed Fathers: Encouragement for Fathers of Children with Special Needs (Foreword by Archbishop Charles Chaput of Philadelphia) which was released through Emmaus Road Publishing. His books are available through Amazon.com, Barnes & Noble and local Catholic bookstores. A convert to the Catholic Faith in 2006, Randy and his wife have been married for over 20 years and have two sons.